Rich, chocolatey, velvety goodness that’s packed with nutrition. 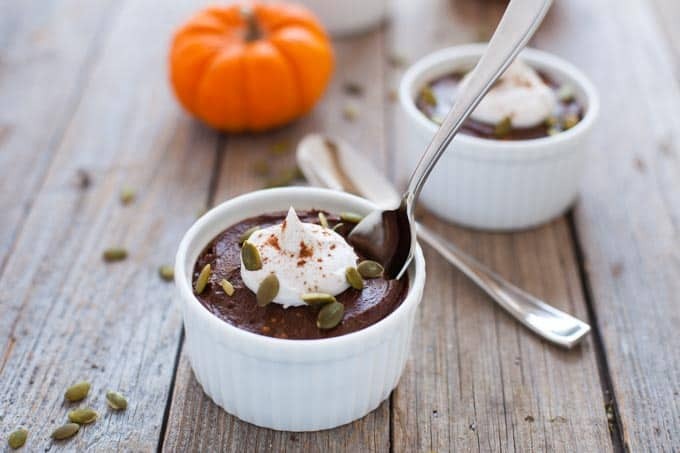 This chocolate pumpkin avocado pudding is the perfect dessert to make for Halloween weekend! I was on the phone with my friend (/now also sister-in-law) last night and she asked if I was dressing up for Halloween this weekend and I was like oh, I don’t know…I don’t have any plans. She couldn’t believe it. It was as if I committed some sort of Halloween treason. She said you ALWAYS dress up for Halloween. Do I? As I started to think about it, I guess I have always dressed up. Last year I was in Denver visiting my friend Elizabeth and we were salt and pepper shakers who were in a Salt N’ Peppa cover band. Shoop. Shoop ba doop. Then I started to realize with dreadful horror…will this be my FIRST halloween NOT dressing up?! (Cue creepy Twilight music). It’s a sad, scary thought but perhaps this is what married and one year from thirty looks like. 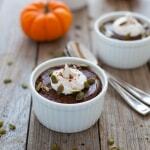 Watching Hocus Pocus on the couch with chocolate pumpkin avocado pudding in hand. I don’t hate it (and secretly I kind of love it). Steve’s gone this weekend – back to Buffalo to hunt with his Dad and brother – so who knows maybe I will break out a costume from Halloween past. But more likely…PUDDING. And Hocus Pocus. SJP at her best, people ;). I love making chocolate + pumpkin desserts around Halloween time. Last year, I made those bomb diggity chocolate pumpkin almond butter cups (yes, I will be making these again). 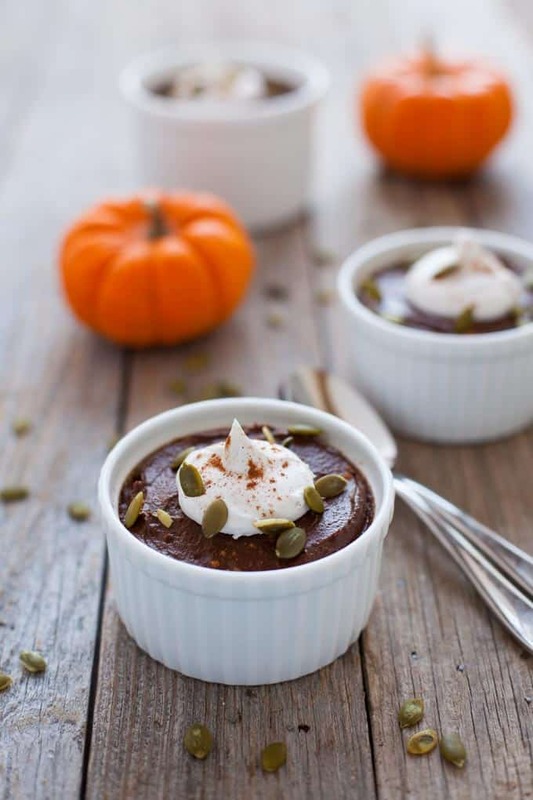 This year, I took rich, velvety avocados packed with good fat and nutrients, combined them with vitamin A-boasting pumpkin and antioxidant-rich cocoa powder to create a rich, nutritious dessert. Vegan and gluten-free, this dessert takes no time to make…besides the hour it’s setting in the fridge and you’re drooling in anticipation. Throw all the ingredients in a blender and voila! Dessert is served. I’m in Chicago today on a work trip that I’ll share the deets with you guys on soon. This weekend, besides eating pudding and watching HP, I’m looking forward to some quality me time. I was inspired by one of my favorite podcasts this week to FINALLY make a vision board, something I’ve thought about trying for years and years. Grace Bonney, thanks for the push I needed. Grabbing all the magazines and poster board and having at it. Have you ever created a vision board? 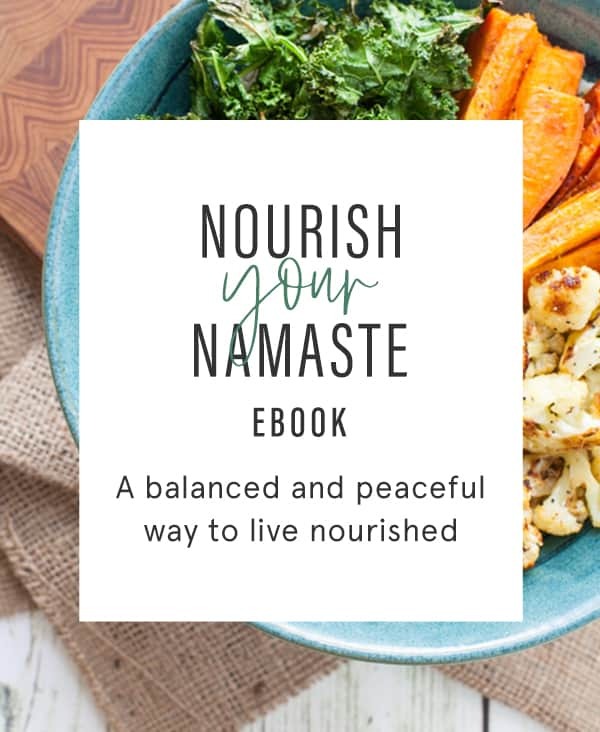 Let me know if you’re interested in it and I’ll tell you guys all about my experience in an upcoming Mindful Monday post. 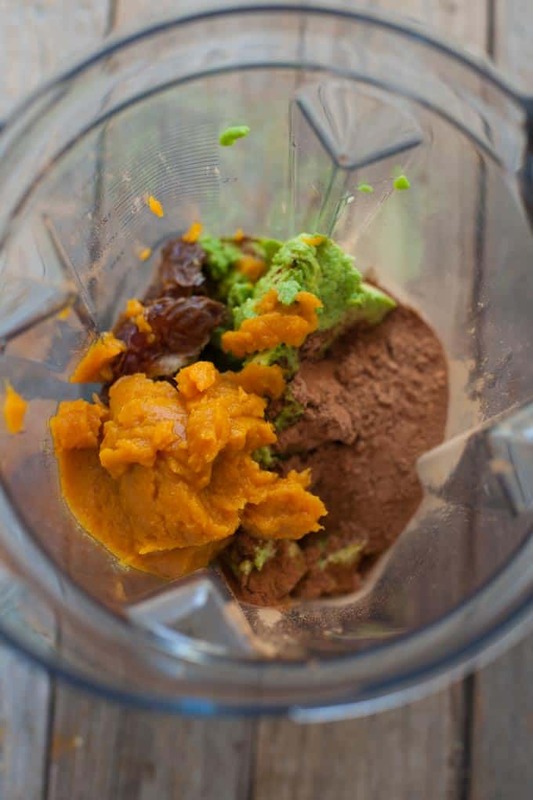 In a high speed blender or food procesor, add avocado, pumpkin, cocoa powder, dates, pumpkin pie spice and coconut milk and blend until smooth and creamy. Add maple syrup as desired to sweeten. Let sit in the refrigerator for at least one hour. Divide pudding between small ramekins. Optional: Top with coconut whipped cream and pepitas. Best eaten when fresh but leftovers will last for a few days in the fridge. What have you guys got planned for the Halloween weekend? Are you past dressing up yet? Will you be watching Hocus Pocus too? Wow. Super wow. So smooth the texture. I unfortunately have not learned to go low sugar so I did have to add more maple syrup, but otherwise didn’t alter anything. This is a fantastic way to eat vegetables, to sneak vegetables into my kid. Ain’t no shame in using more maple syrup! It helps to provide some sweetness. Glad you enjoyed it! How delicious! 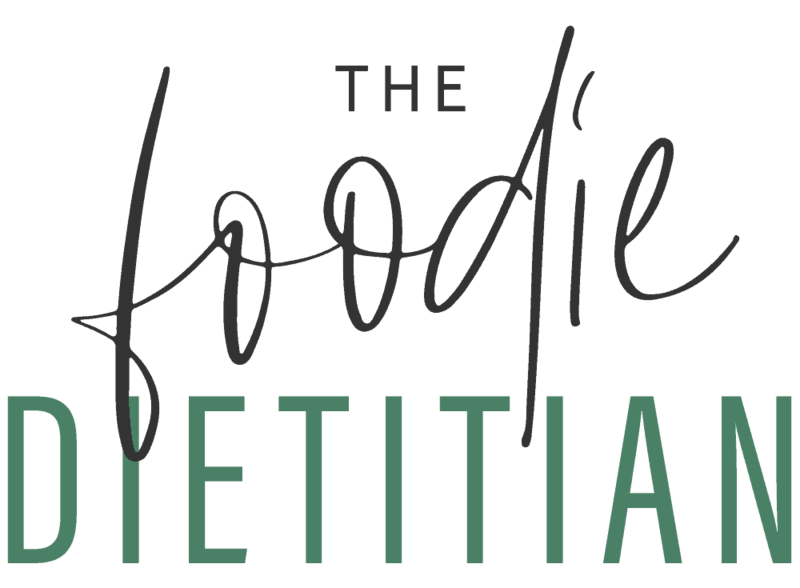 I love how simple and easy your recipes are to make and always look forward to seeing more! Love everything about this! Definitely making it this weekend! Thanks, Lauren! Hope you enjoyed! Hocus Pocus is my fave Halloween movie too 🙂 I would totally be okay spending this weekend eating chocolate pumpkin avocado pudding and watching Halloween movies! Haha great minds, Julie :). This sounds delicious! I may add it to the thanksgiving dessert list! This is my kind of dessert! Giving it a yum! Oh my deliciousness – I am so excited to try this. 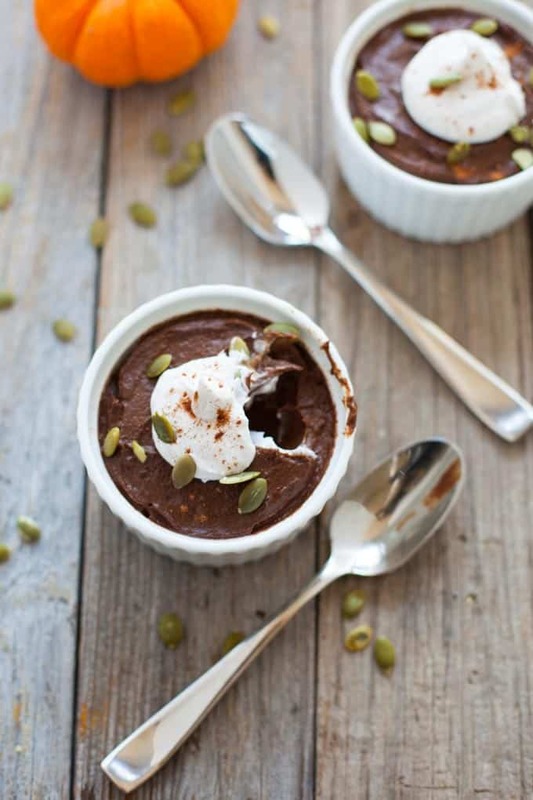 And what a great way to “healthy up” the chocolate pudding my little man loves to devour! Thanks for sharing. Yay! Hope you enjoy it, Jennifer :). 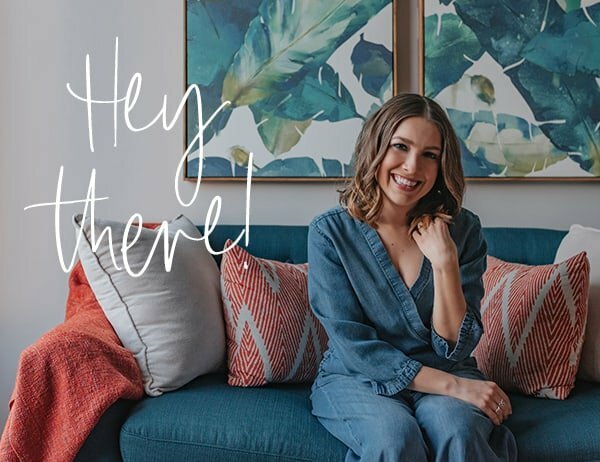 And thanks for letting me know you’d like to learn more about the vision board process. I had a lot of fun with it so I’ll be sure to post on it soon.